Fit tight budgets and even tighter spaces with our latest diverse range of Smart Operation Panel MFPs. Introducing our latest 10.1” Smart Operation Panel complete with softkey operation. Now it’s even easier to touch, swipe and get the job done thanks to a range of helpful features including a completely customisable home screen and full internet browser capability. 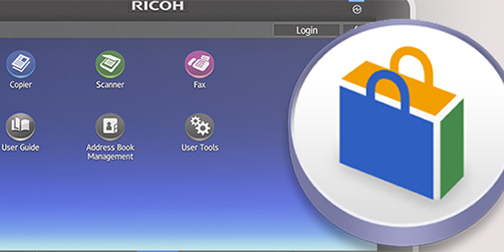 When you want to simplify and improve document processes in your office, Ricoh’s new range of compact MFPs – featuring Smart Operation Panel technology – brings you high quality printing, high efficiency workflow and low running costs. 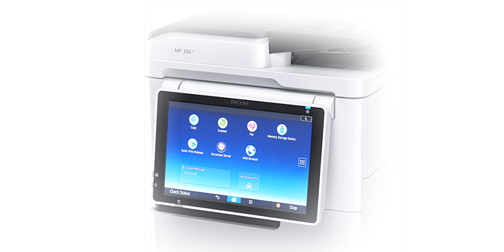 Our latest, most sophisticated development of multifunction printers come in many different options. They’re easier than ever to use and these compact MFPs offer either – or both – Black and White and Colour options. 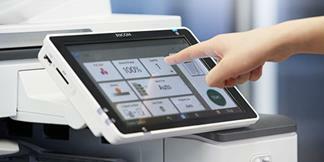 They also deliver a range of print speeds from 30/30 A4 pages (BW/colour) up to 40/35 A4 pages a minute (BW/colour). Enhance efficiency. Boost productivity. Reduce costs. The 10.1 inch Smart Operation Panel offers an impressive touch and swipe operation, and you can personalise the large, tiltable, widescreen operation panel, so every function is always close at hand. Easily add or delete apps and widgets for improved user experience and productivity with extended software capabilities. This intuitive User Interface will alter the way you interact with our devices. Integrate with independent smart phones and tablets – enable access and printing from virtually anywhere, gain more mobility. Then scan and save documents in full colour directly to email, portable media and folder – to speed up workflow – and access the internet via a full browser. And you can integrate easily into current machine fleet and maximise productivity of them all – enhancing total ROI. The Smart Operation Panel’s ease of use and customisable home screen mean every employee can efficiently access every feature available, so you can tailor your own applications for frequently used function. Our new customisable and user-friendly smart operation panel gives you easy access to the tools you use most often.